When was the last time you saw a Storyteller in action? Someone who held a room spellbound as they unfolded a tale--perhaps history, perhaps myth, perhaps fiction--that left the listeners knowing they'd experienced something special? The art of being a storyteller is different from being a novelist or a short story writer--it can include any number of art forms--and it's usually directed not at a critic or The Public, but at the storyteller's friends, or community. 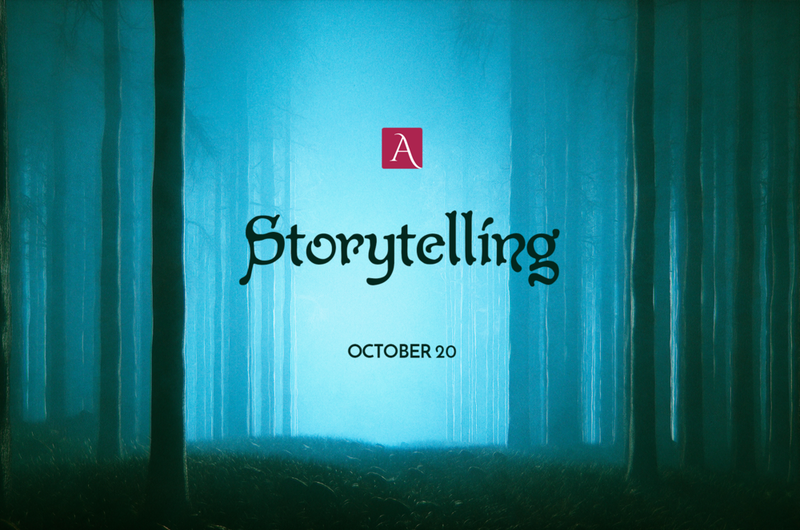 Join us October 20 for an evening of storytelling (and food and drink)! Our October pub night will be an Arts Guild takeover, with new stories, songs, poems, and more contributed by member artists. It's not an open-mic night; it's a curated program of high-level, beautiful, moving art and entertainment!